At the world-renowned BaselWorld, the finest collection of watches and jewelry are on display for all to view in in Basel, Switzerland, the place I call home. The eight-day fair draws those with an interest in horology to explore the 141,000 square-meter exhibition space and discover new timepieces and innovations from the finest watchmakers around the world. 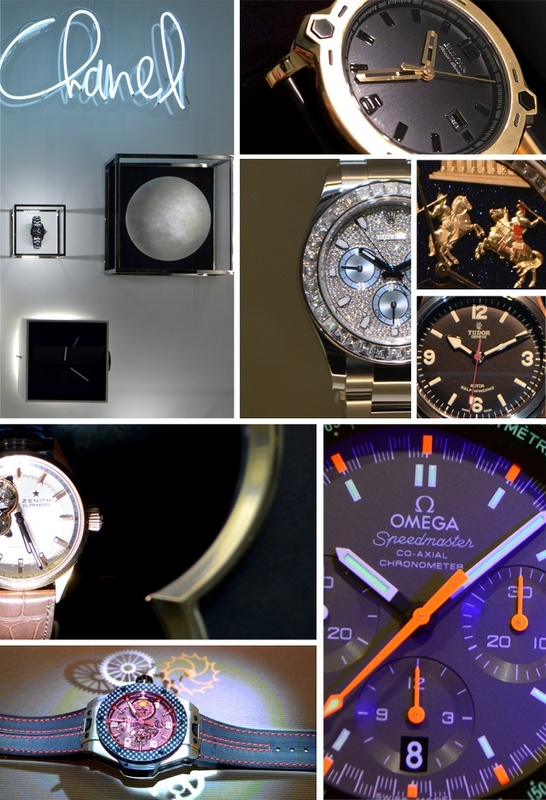 This year, BaselWorld brought a packed schedule with appointments to view the newest releases as well as interviews with key industry leaders. Among the industry titans Team iW met with, Bruno Belamich, Creative Director for Bell & Ross with Steve Willis from Shaw Harley-Davidson to discuss the sleek B-Rocket watch and concept motorcycle. In addition, I had an invigorating one-on-one with Jean-Claude Biver on the terrace of the Hublot booth discussing the watchmaking industry and watchmaking passion. These interviews only scratch the surface of who we met with and the exclusive content to come. As for the timepieces- Team iW divided and conquered to see it all! I checked out the Oris Calibre 110 an in-house developed movement created to celebrate of their 110th anniversary complete with an interview with Mr. Urlich Herzog, Managing Executive Director who has been at the helm for over 30 years. Additionally, I went hands-on with the new Tudor Heritage Ranger collection pulling vintage traits from its history with a modern twist. Each day Team iW spent weaved systematically and methodically through the halls in search of the best bits of the fair to share with you and we can’t wait to share all that was discovered. Stay tuned!